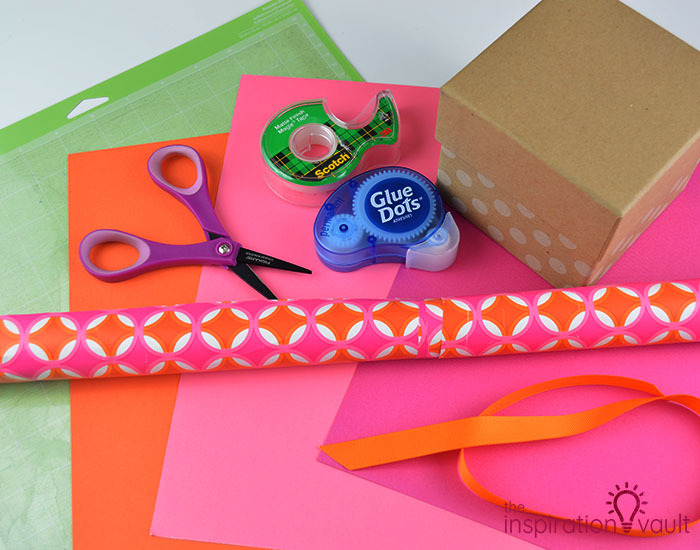 I don’t know if it’s considered a craft or not, but I have always loved gift wrapping. 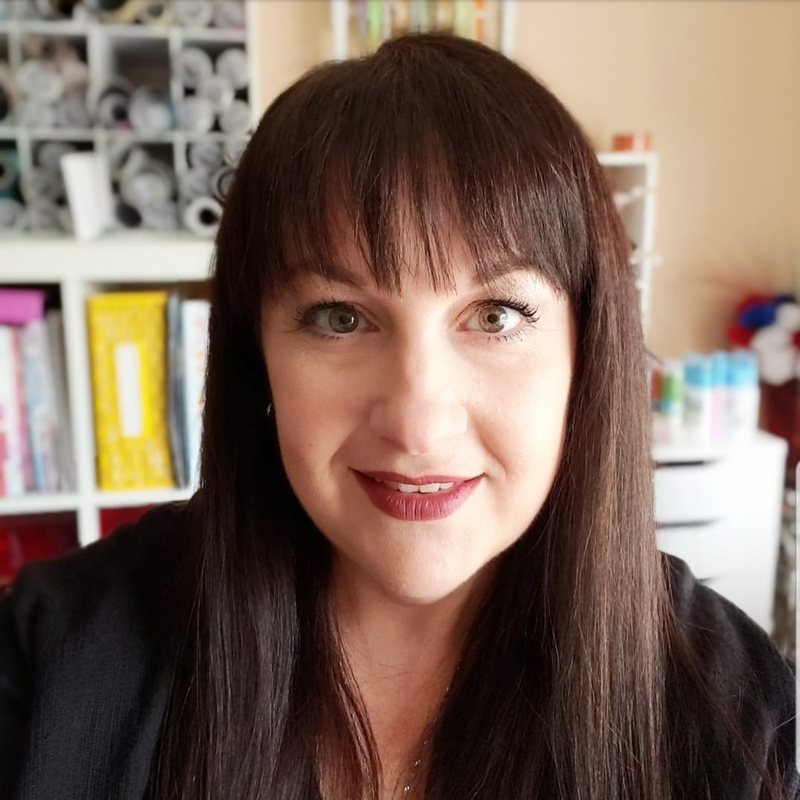 If the gift is for someone special, I try to find the perfect wrapping paper and then coordinating ribbon and embellishments. 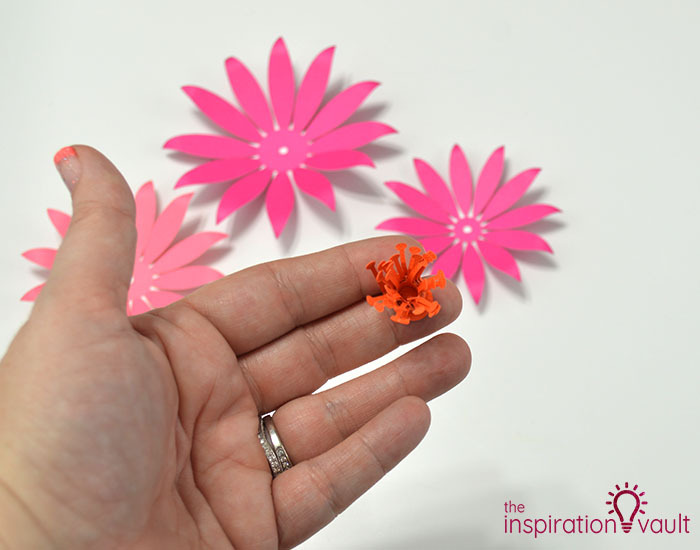 Often, though, I get stuck when trying to find just the right embellishments. 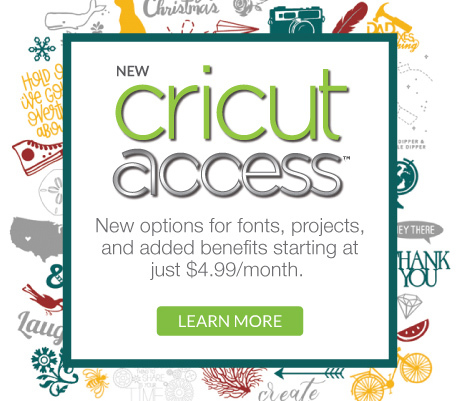 Luckily, these days I have my handy dandy Cricut to come to my rescue. 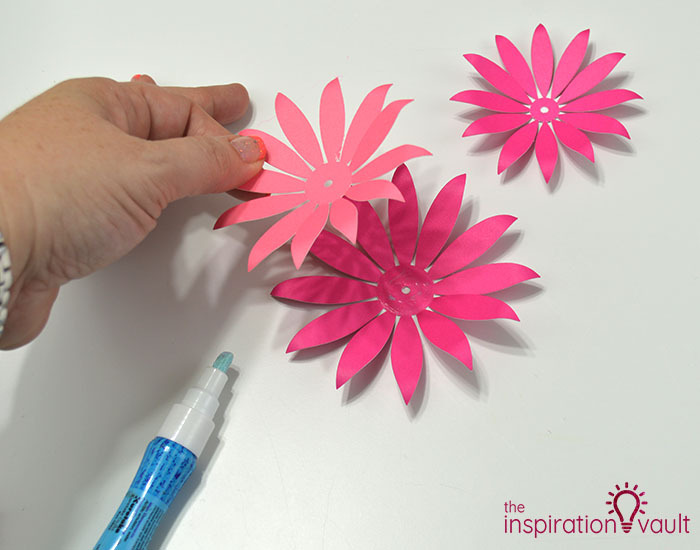 All I need is cardstock in coordinating colors and I can make my own Paper Flower Gift Toppers to finish off the gift beautifully. You can, too! 1. 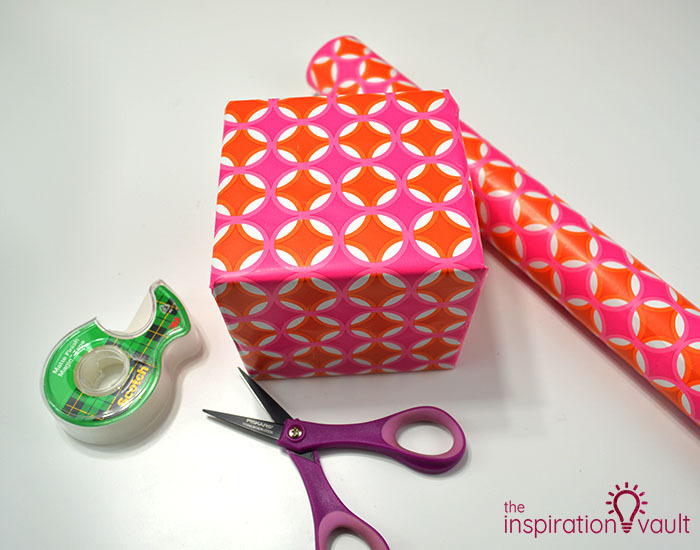 Wrap your gift as neatly as possible. 2. 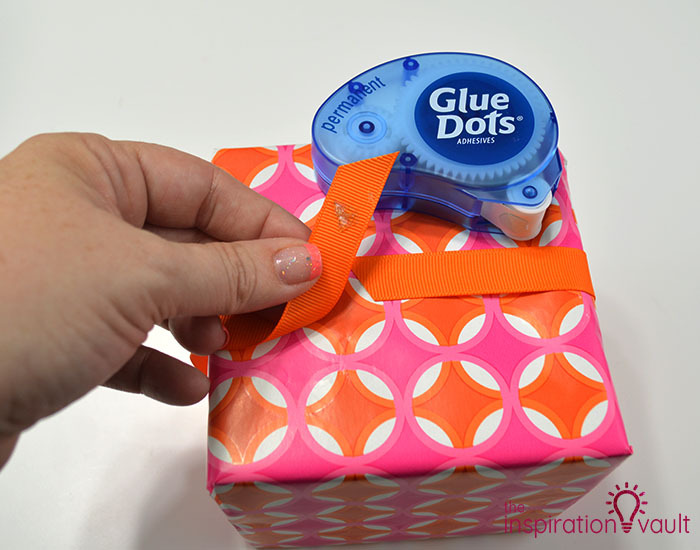 Fix the coordinating ribbon to the gift using Glue Dots. 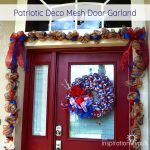 They work best when trying to stick thicker or heavier materials like grosgrain ribbon to gift wrap or itself like with the ribbon. Regular transparent tape just doesn’t cut it for me. 3. 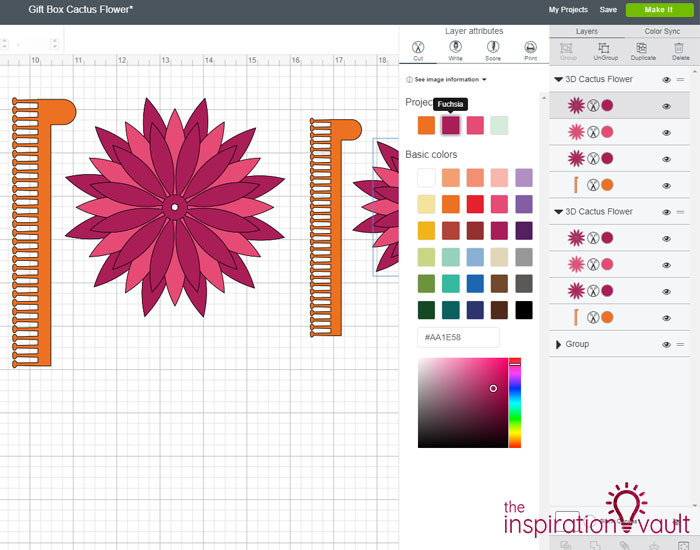 In Cricut Design Space, search for 3D flowers and find one that you like, paying no attention to what color they are in the image. 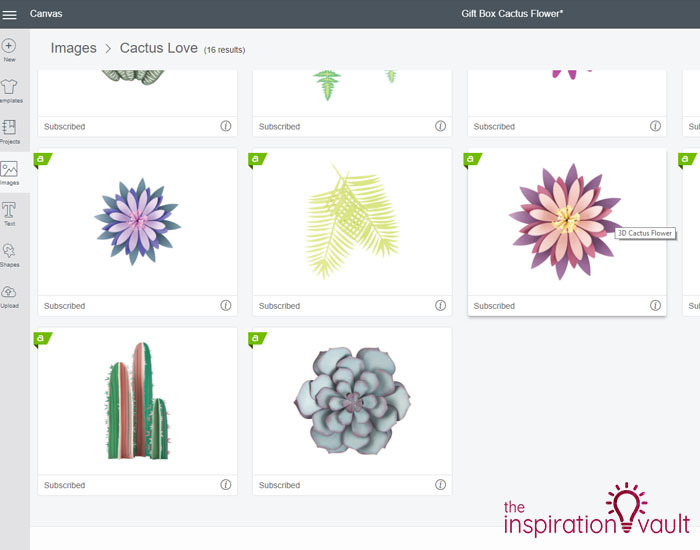 I used one called 3D Cactus Flower from the Cactus Love 3D Image Set. If you don’t have Access, you can purchase the individual images without buying the set. 4. Insert the image and make a copy. 5. 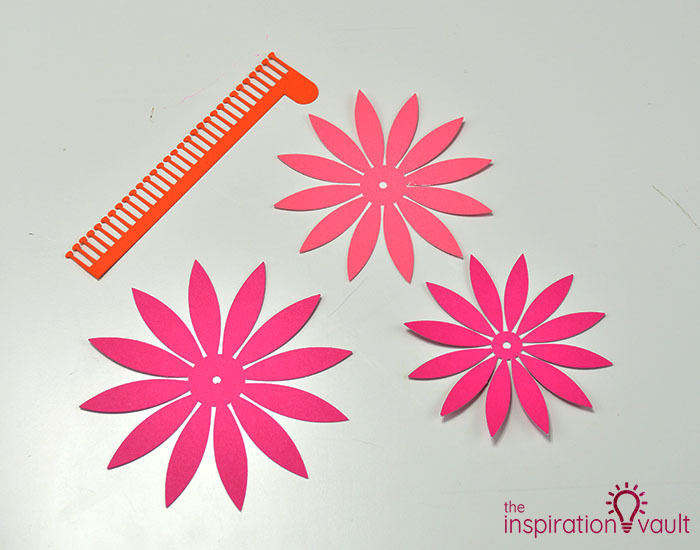 Resize the image groups to make the flowers larger. You want to leave them grouped so all of the different layers stay to scale. 6. 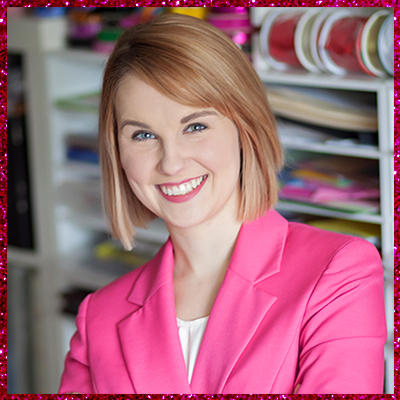 Change the colors of the image layers to match your cardstock to help keep the image cuts organized and so you know which cardstock to load. 7. 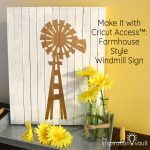 Cut out the images on your Cricut. 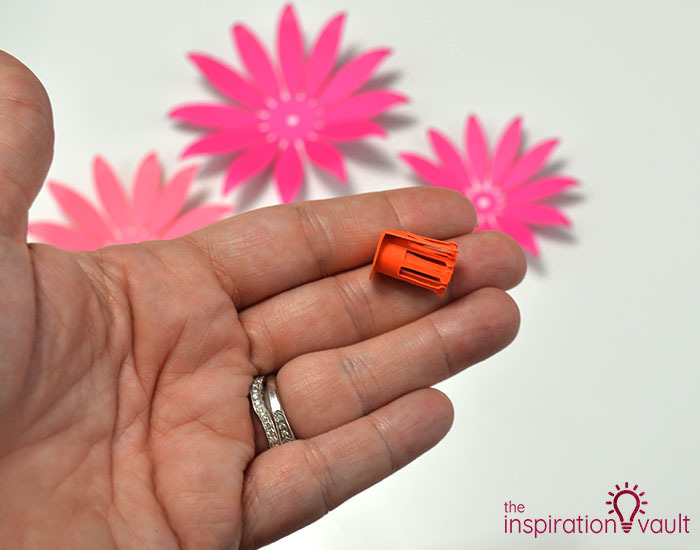 Make sure to set your dial to the cardstock setting that suits the cardstock you are using. 8. 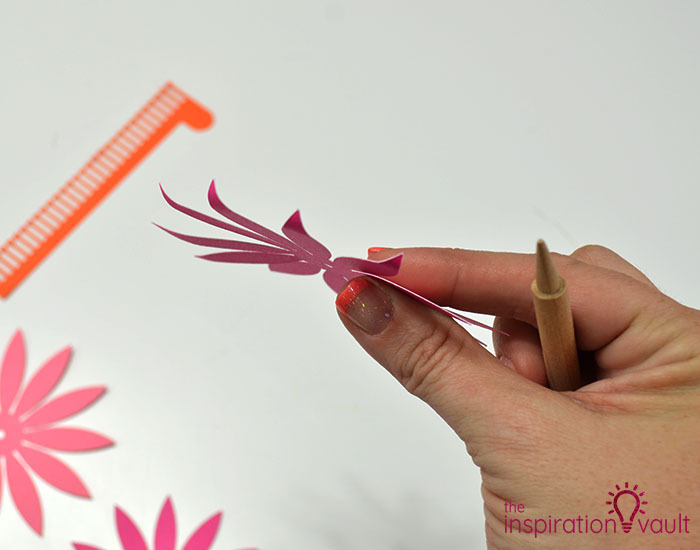 Use a pencil or tool to curl all of the flower petals under. 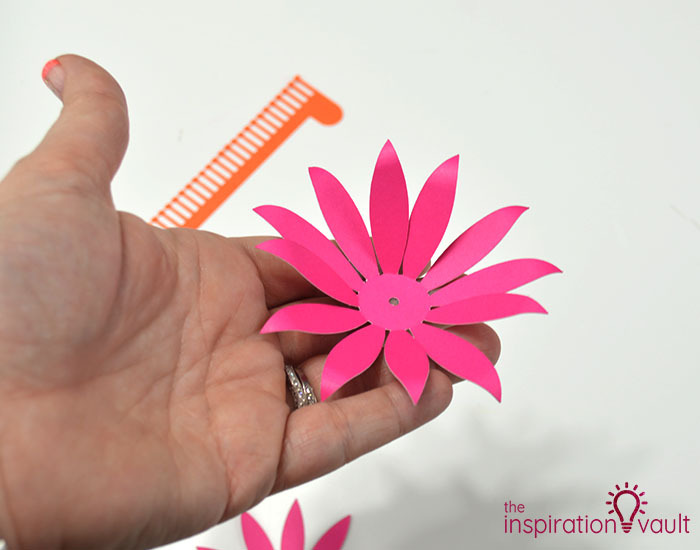 Then bend the petals up at the base. 9. 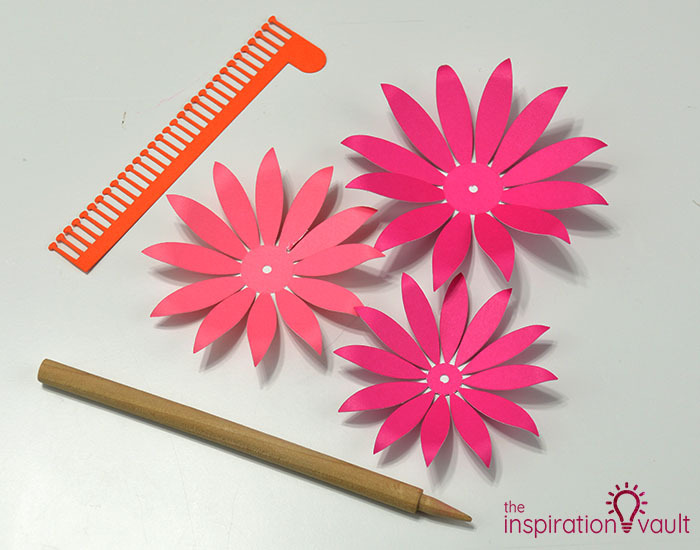 Roll the flower stamin (center) piece and glue at the bottom. Fluff out the little stems. 10. 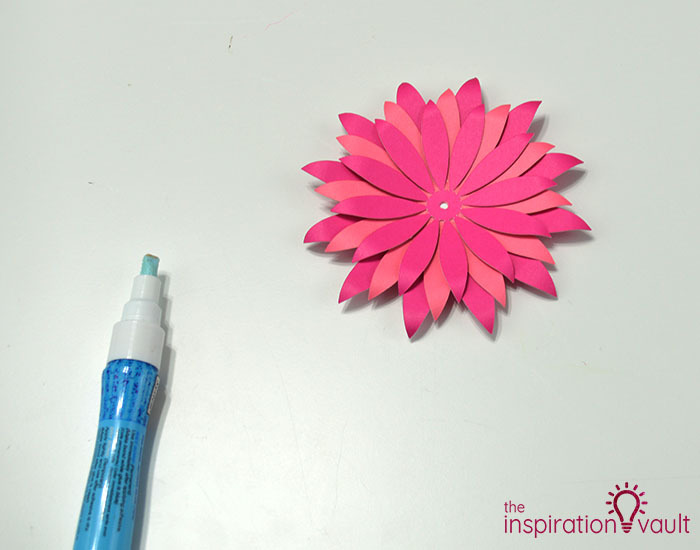 Glue the layers of petals together in the center and top off with the stamin. 11. 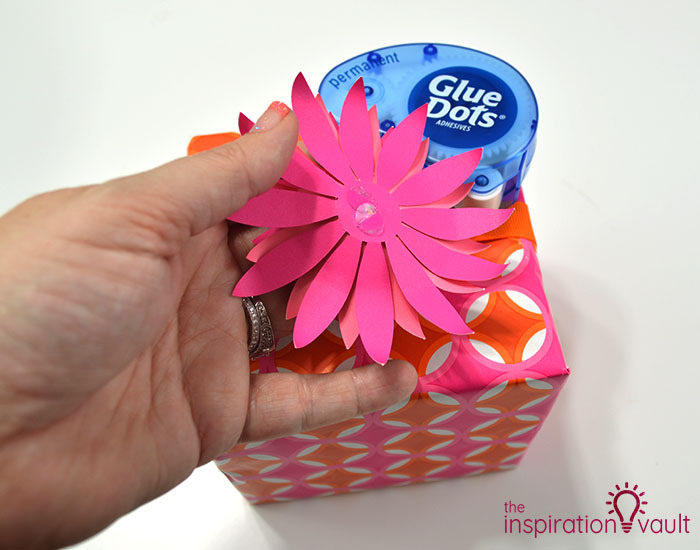 Stick the flowers to the top of the gift using Glue Dots. That’s it! 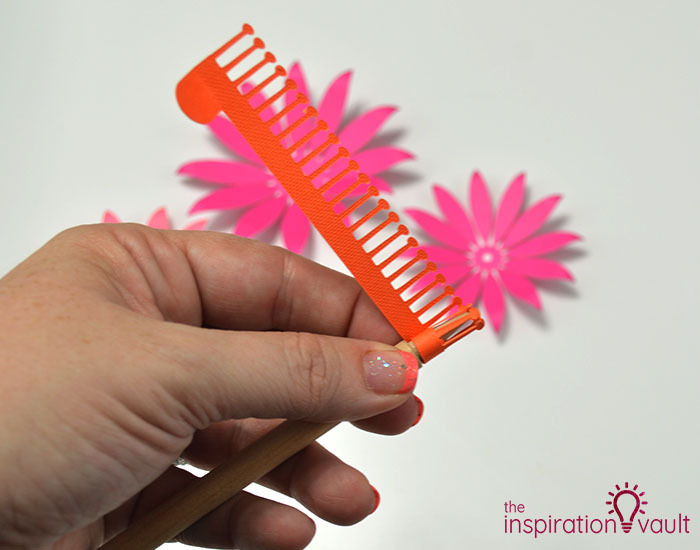 Even if you’re a beginner using the Cricut, this project is easily makeable within 30 minutes. 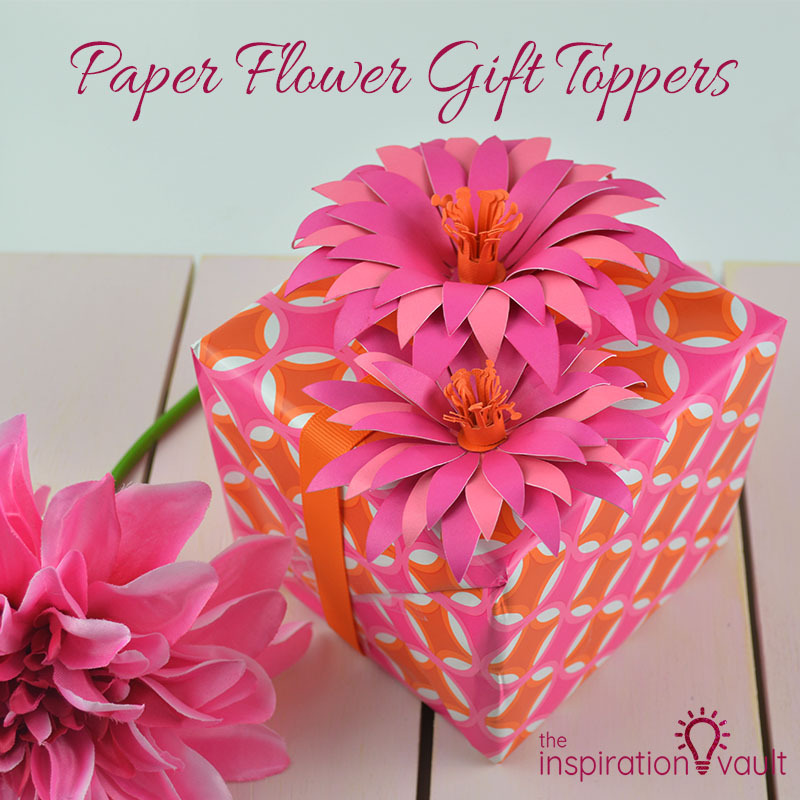 So assuming you’re not wrapping your gift as you’re walking out the door (which I may or may not have done in the past) you can take a little extra time to make your gift wrapping go from nice to wow by adding some custom-made Paper Flower Gift Toppers to your present. 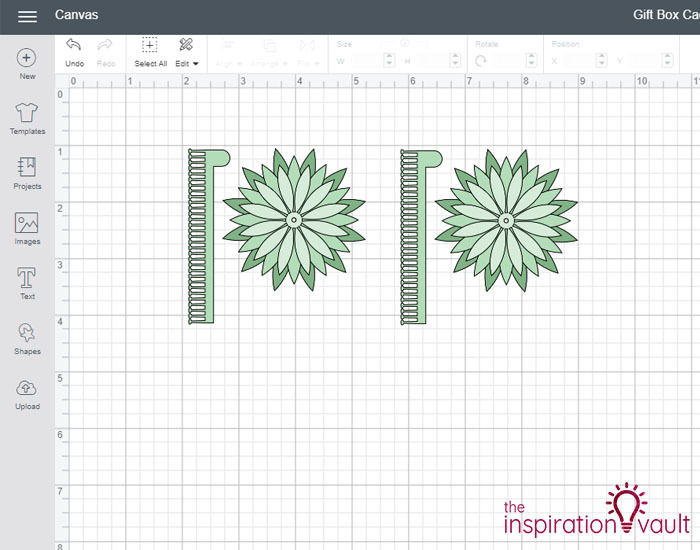 If you like these Cricut Flowers, you might also like the roses I made for my Paper Rose-Filled Monogram Letter project. 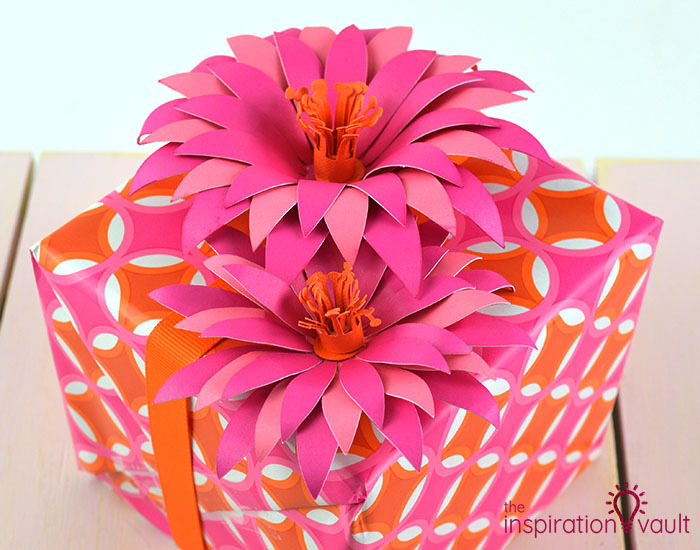 And if you’re all about amazing gift wrap ideas using paper crafts and paper flowers, you absolutely have to see all of the gift wrap projects over at All Free Paper Crafts! 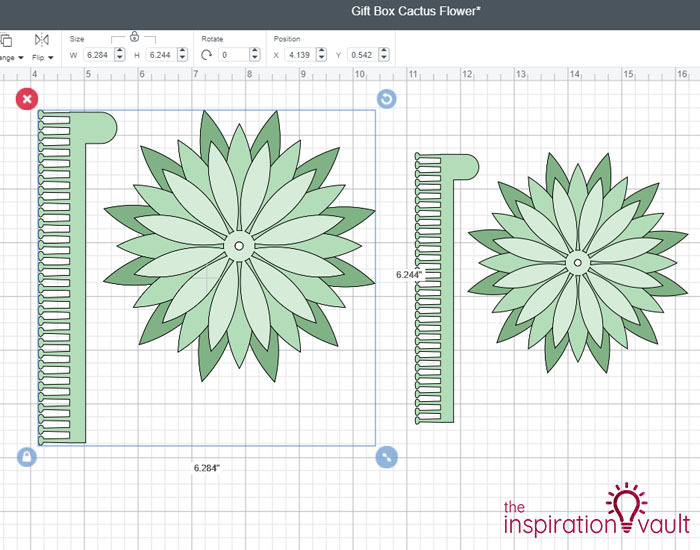 Would you like to see some more gorgeous Cricut projects inspired by Spring? 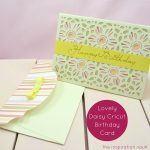 I’ve teamed up with 14 other crafty bloggers for our monthly Craft & Create Cricut Challenge to show you how you can make your own lovely Spring goodies. 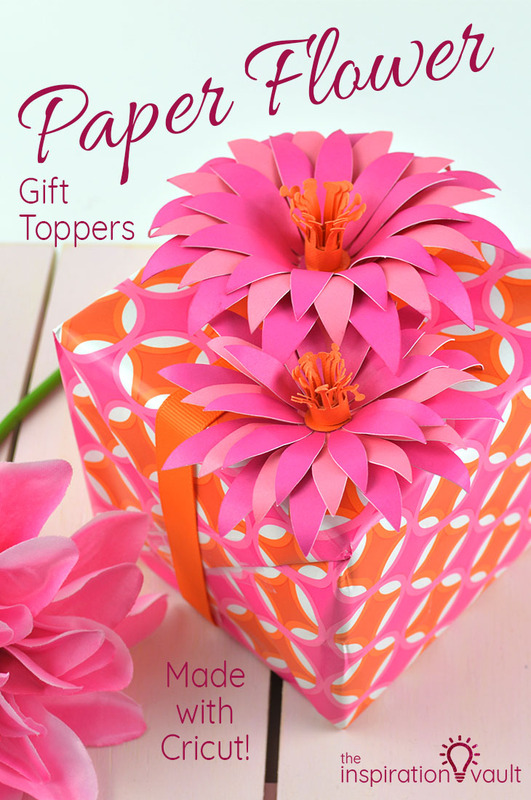 This is such a great idea for making a gift more fancy! I love glue dots too! 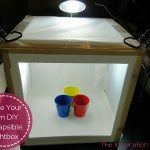 Oh my goodness- What a GREAT idea! 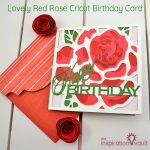 I love the idea of making a gift look unique and over the top! Thanks for the inspiration! This looks beautiful! 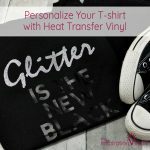 What a great idea to personalize each gift. 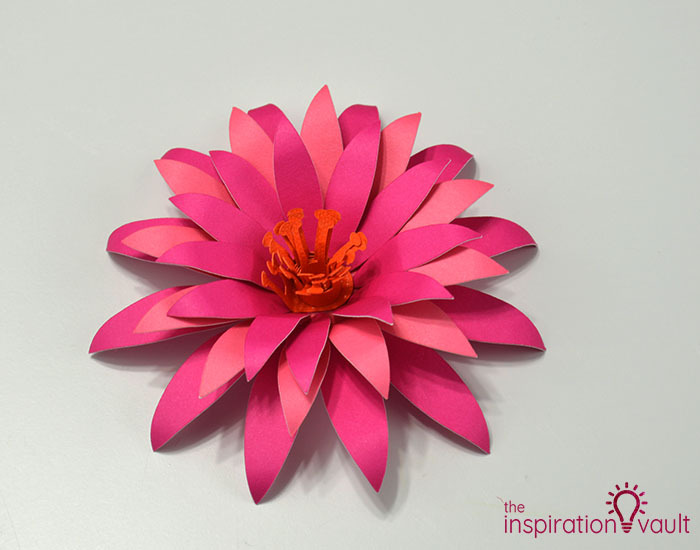 I haven’t made 3d flowers yet, but I’m so inspired by everyone’s flower post.